Bali Cycling and ATV Ride Tour is a combination tour to perform activities in downhill kintamani bike ride up the road and ATV bike for 2 hours. Adventure are impressive and give a very memorable experience in your holiday on the island of Bali. The first program we did kintamani downhill cycling tour with kintamani down the street and see the beautiful scenery on a bicycle, cycling guide will always give an explanation about object that we pass. After a cycling adventure is complete, we will enjoy lunch provided as the end of the adventure of riding a bike. After lunch the tour continues to the completion point of the ATV ride to try the thrill ride atv bike for 2 hours through the forest, rivers and rice fields. 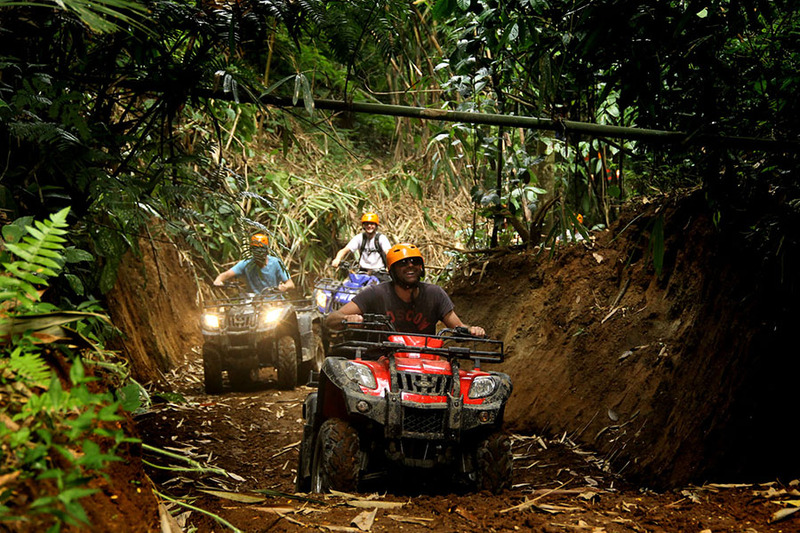 after completion ATV adventure, we headed back to the hotel with a memorable experience in Bali Cycling double and ATV adventure ride this tour.